Head to the streets in frenzied open world gameplay. 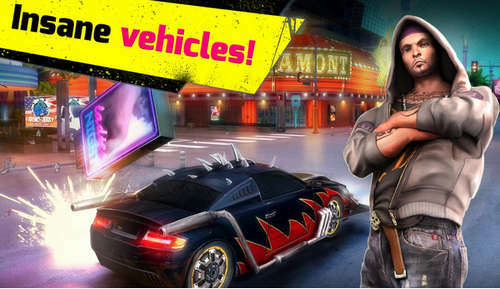 Our hacked apk version is all about customizability, so when in-game, you can buy and upgrade cars and other items. Vegas is your oyster now, do what you want! The game is visually rich, and features insanely customizable vehicles, plus advanced weapons, and an enormous explorable world. If you've played GTA, this is even better! Grab the Gangstar Vegas - mafia game modded apk (unlimited everything: cash/diamonds,etc) from the link provided below and enjoy all the new content this latest release features. 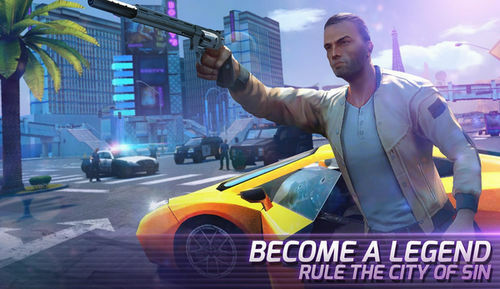 Show the gangstars that Vegas is your town and wreck havoc on the streets! Latest version 3.8.2a updated September 11, 2018 features additions and bug fixes. Install the apk, Extract DATA folder to internal memory /Android/obb, and play. DO NOT join events. - Use IDM+ or other manager to dwnload the game from GDrive without errors. - Disclaimer: Anti-Ban implemented but Do not participate in Events. I can't be held responsible for any banned accounts. Change the name of the obb folder, uninstall the game, Start Downloading the game from Google Play, when download starts cancel it, Install our version, Then change the name of the obb folder back to the original. The file is not available on Zippyshare.